Coming Lung Cancer Epidemic for Marijuana Smokers? 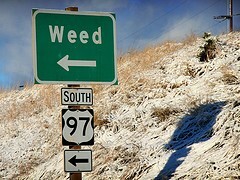 Home \ Blogs \ Drug Abuse \ Coming Lung Cancer Epidemic for Marijuana Smokers? Scientists in New Zealand examined lung cancer patient case histories, and determine that smoking 1 joint a day for 10 years increases your risk for lung cancer by 5.7 times. New Zealand researchers, in a study released in the European Respiratory Journal, call smoking one marijuana joint equivalent to smoking 20 cigarettes, and questioned whether rising use of marijuana in many western countries would lead to a lung cancer epidemic in years to come. The researchers explain that although the link between lung cancer and marijuana smoke has been long known, no one really knew at what incidence rate this was occurring. Study leaders explain that marijuana smoke poses a greater threat as it contains twice the level of harmful polyaromatic hydrocarbons and other carcinogens as does tobacco smoke. Marijuana smokers, the study leaders explain, also tend to smoke without a filter, smoke right down to the end of the joint, hold the smoke for longer in the lungs and inhale more deeply. Carbon monoxide levels tested in the blood after smoking a marijuana joint are as much as 5 times greater than after smoking a cigarette. The researchers evaluated longitudinal data collected on 70 patients with lung cancer. They questioned the patients on lifestyle, environmental exposures and occupation, as well as medical history, and even after factoring in for the use of tobacco, those people who had smoked one or more joints daily for at least ten years were 5.7 times more likely to have lung cancer. The study leaders acknowledge the limitations inherent in such a small sample size, but speculate that cannabis use could be causing as many as 1 in 20 lung cancers, with more to come with increasing societal marijuana usage. 3 Is Marijuana Maintenance a Good Idea? 4 Police Called During Home Invasion - On Arrival They Find Major Marijuana Growing Operation!